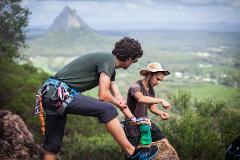 Rock climbing and abseiling are activities which provide both physical and mental challenges. We find kids improve quickly and gain an amazing sense of achievement, as they see themselves getting further up the cliffl each week. Looking for a new challenge? Looking for something that will engage both the mind and body? 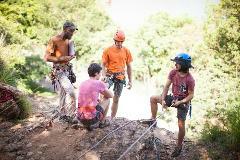 Pinnacle Sports Adult Rock Climbing Course may be just what you are after! 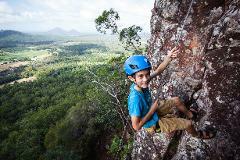 This nationally recognized abseiling course is great for bushwalkers/thrill seekers who wish to set up their own abseil lines safely and independently. This Sport Lead Climbing Course is perfect for climbers who wish to progress from a top-rope environment and get cranking on lead at the crag. 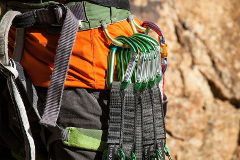 Whether it is to ensure you have the skills necessary to ensure the safety of you and your fellow climbers, or if you are looking to progress towards a career as a guide or leader, the Vertical Rescue Course is a must! 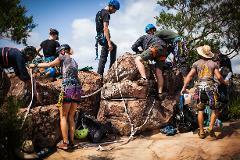 Outdoor leader/guide qualifications are nationally recognised accredited course for people wanting to become abseiling / rock climbing guides within the sports and recreation industry. 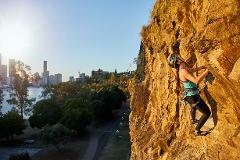 Thursday night climbing at Kangaroo Point from 6-9pm. 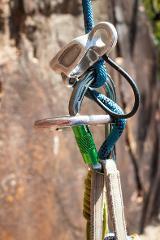 Available only to climbers who have completed a Pinnacle Sports Course. 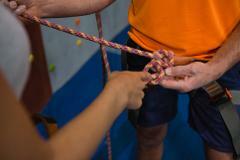 Accredited training to guide climbing activities on an artificial surface.